Confidentiality of Password is solely responsibility of the candidate and all care must be taken to protect the password. Candidates must take the printout of the final locked choices. For clarification, if any, you may contact at Toll Free No.1800 180 3151 on any working day. Check the NCHMCT website and this page on or after 18 April 2016 (Saturday) for downloading Admit Card. Please note that no separate admit card will be issued through post. Admit Card of only those candidates will be uploaded whose application form reaches: JEE Cell, National Council for Hotel Management & Catering Technology, A-34, Institutional Area, Sector – 62, NOIDA (UP) – 201309 by 06 April 2015 (Monday) . 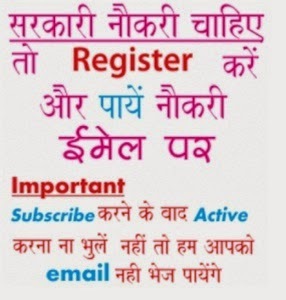 Take the printout of Admit Card from the above website link. Admit card will have the Roll Number and Test Centre Address. No separate Admit Card will be issued. Affix on the Admit Card two similar photographs already kept in self custody. How to Download NCHMC Admit Card? About NCHMCT: National Council for Hotel Management & Catering Technology (NCHMCT) is an autonomous body under Ministry of Tourism, Government of India. The Council centrally run and regulates academics for B.Sc. Hospitality & Hotel Administration and nine other structured courses of study that are imparted at the existing 21 Central Institutes of Hotel Management, 19 State Government Institutes of Hotel Management, 01 Public Sector Undertaking and 14 Private Institutes of Hotel Management affiliated with NCHMCT. 10 Food Craft Institutes located in different parts of the country offer Diploma programs in specific operational areas. All Institutes follow standardised course curricula prescribed by the Council for different professional programs.